1. The french lace hand tied hair piece has a uniform size hole on the film, which is designed to make it more breathable and comfortable when you wear it. 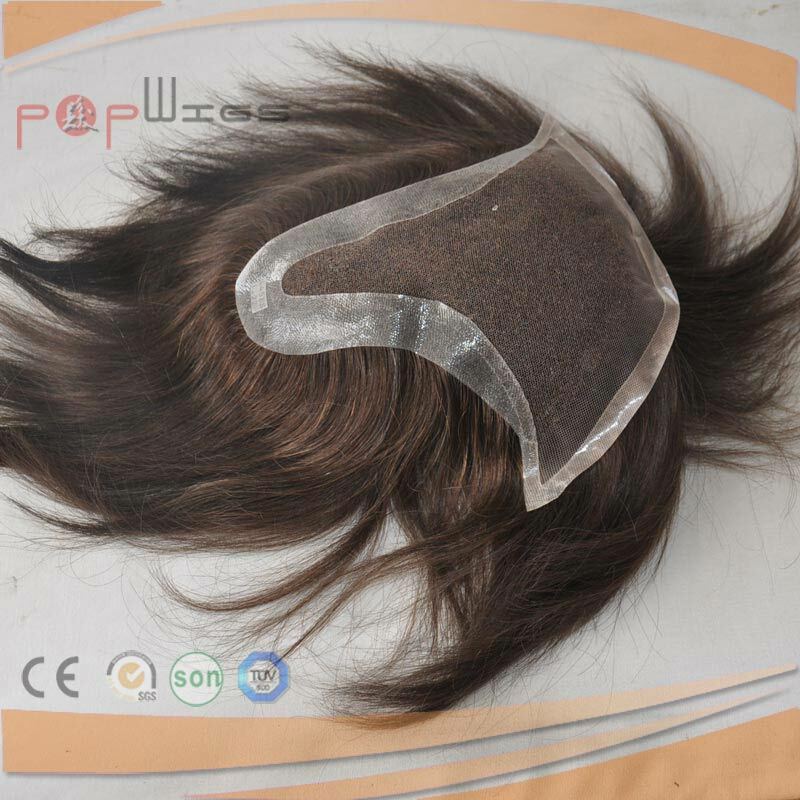 In addition, the specifications of the wigs we produce are flexible and reasonable, so you can choose our ultra-thin and non-marking products according to the size of your head and head. 2. This french lace hand tied hair piece is made with real human hair, so it is very natural and shiny. In addition, wigs made with real hair usually do not cause allergies to human skin, so you can use this product with confidence. This product can help you hide sparse hair, hair loss and baldness. 3. This wig has a good density. 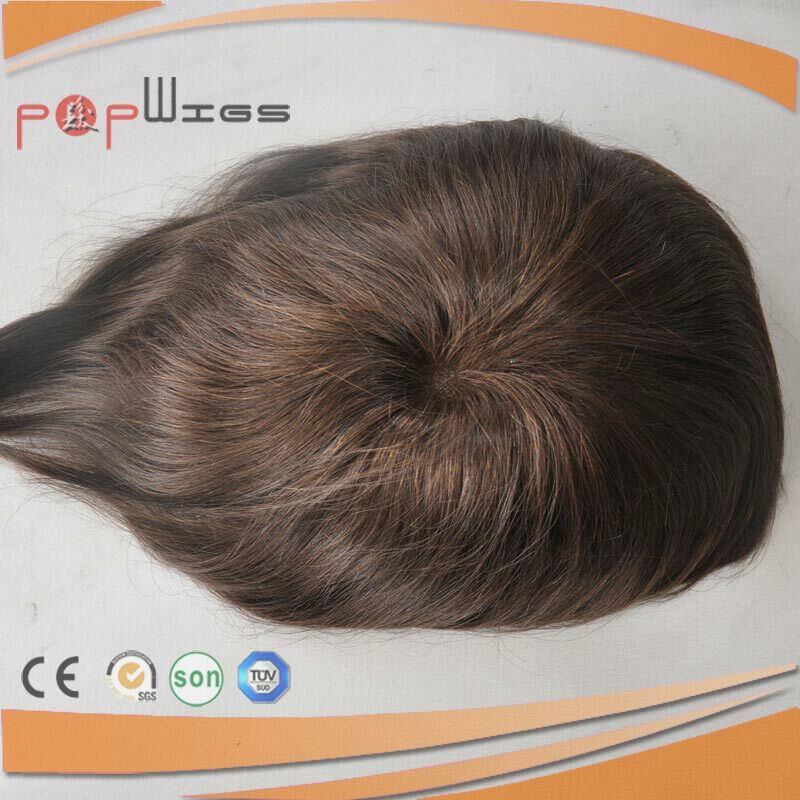 The density of wigs produced by our company is usually 80% to 200%, you can choose according to your needs. A high-density french lace hand tied hair piece can make you look more spiritual and younger. The length and hair color of the hair can be selected accordingly.